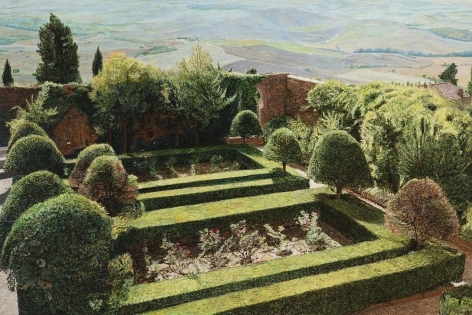 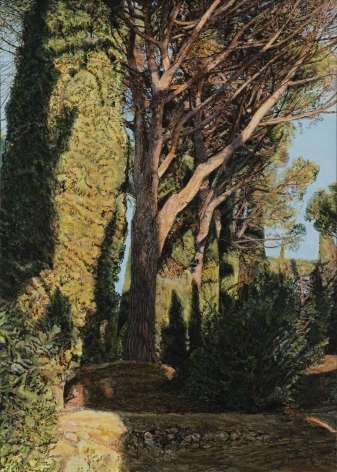 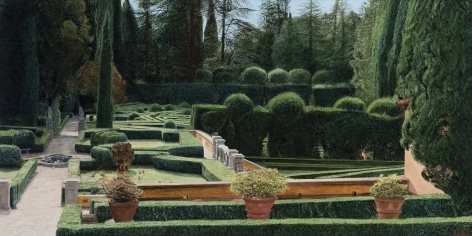 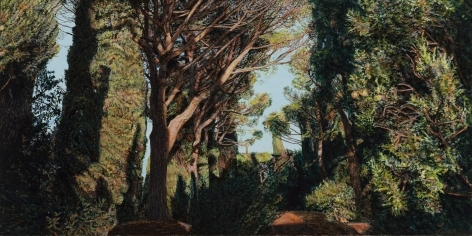 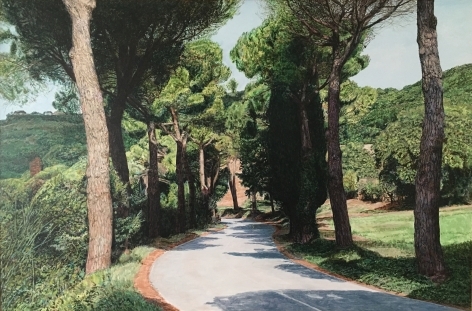 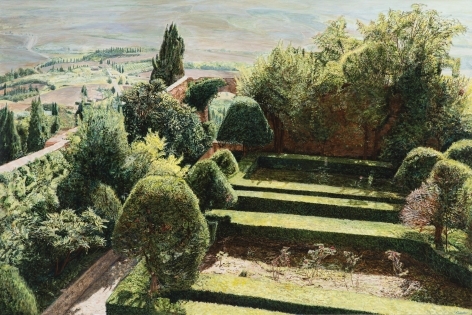 In New Works, Tom Fawkes presents paintings of manicured gardens and landscapes of the Mediterranean, a subject for which he is well known. 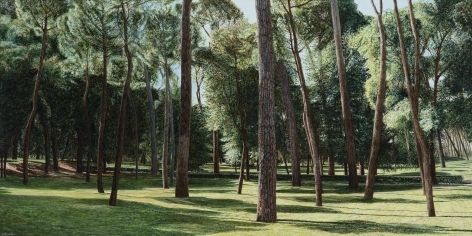 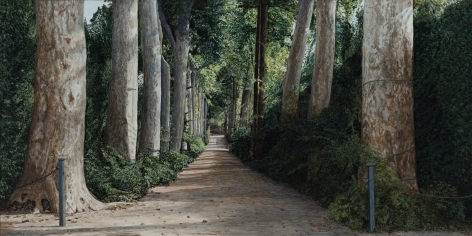 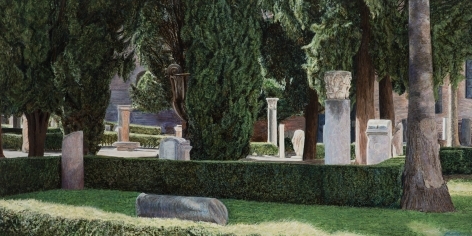 In this exhibition, he specifically explores the gardens and the parks of the Villa Borghese in Rome with long horizontal compositions which masterfully play with shadow, light, and color. 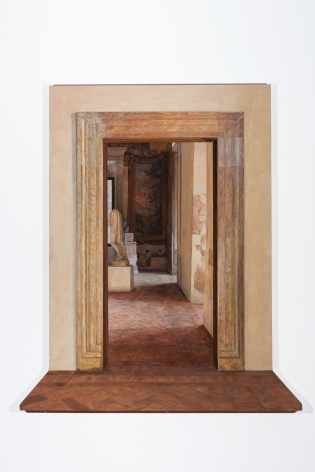 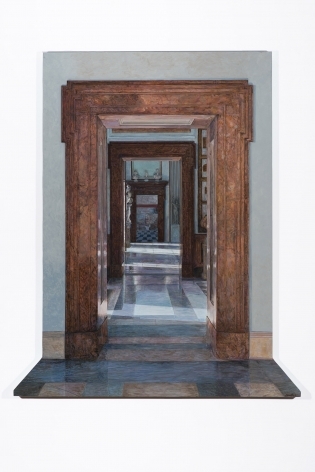 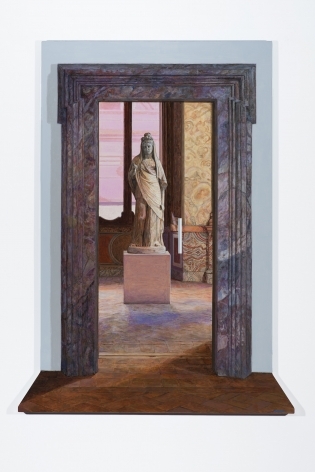 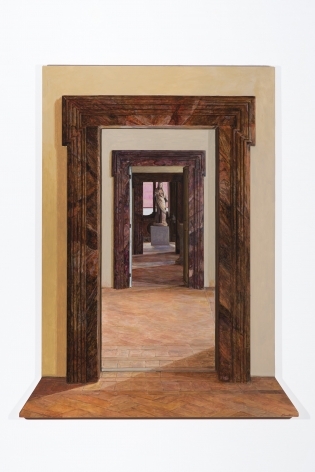 This exhibition also features three-dimensional painted constructions of doors and passageways with rich views of historical architecture and sculptural objects. 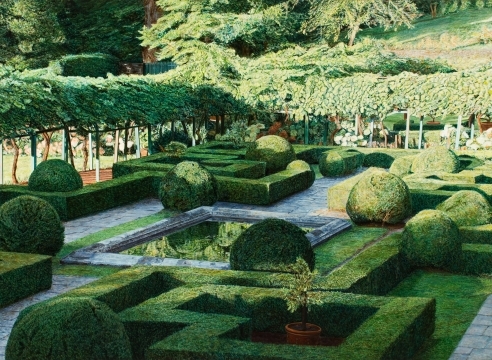 Fawkes is a master at pulling viewers into the scenes he paints, capturing the smallest details of garden spaces, or the luscious textural qualities of Roman interiors.